The Size15Stylist Travel Blog : Are you a Me Time Practitioner? Are you a Me Time Practitioner? I’m a busy Mum (aren’t we all?) and I’m a Me Time Practitioner. Well, I regularly shove parenting duties, housework (little encouragement needed) any kind of work-work and social engagements to one side, and I take care of myself, as the Boots’ research indicates we should, although Me Time is for non-Mums, too. Sometimes I pop 30 minutes into my diary, sometimes an afternoon or day, usually once a week/month so that I can catch up on my favourite TV shows (not the ones I share with anyone else) or gorge on an Amazon video with a Bounty mid-morning. Sometimes I just hole up in the bathroom and gather my hundreds of beauty products for a bit of a tidy-up session, without a five year old investigative reporter by my side (Mummy, why are your toes hairy?). 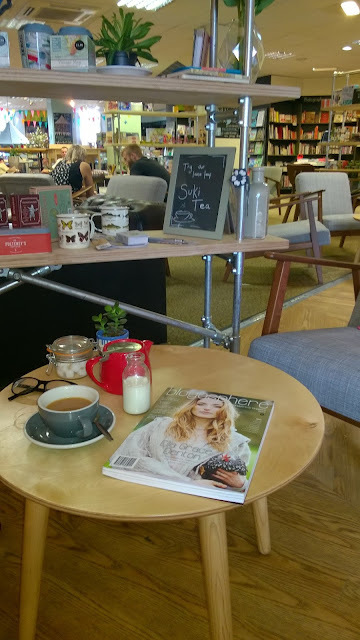 Occasionally, on a Saturday, even, I'll spend the afternoon in town, buying magazines, reading said magazines, and relaxing over a pot of tea in a book shop. Mr S15S or Grandparents look after Mini Stylist and I forget to look at my watch. I can sense she's almost at the age for longer play dates (and of course I'll return the favour!). Me Time isn’t always about switching off; I often use it for life planning, too. Out of the calm appears organised creativity. And every couple of months, I book myself into a hotel for the night. I’ve stayed in budget hotels, cosy B and Bs and spa hotels. With the wealth of comparison accommodation sites out there, there is a bed to suit every budget, depending on your location. 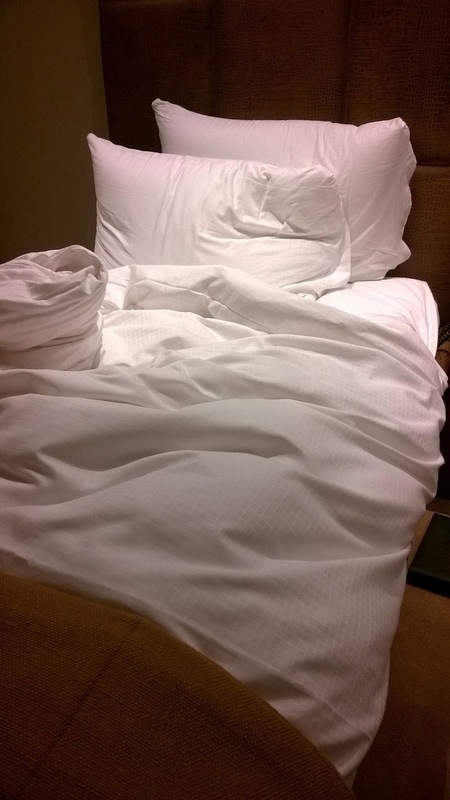 I’m a big fan of any bed that considers itself a cloud. In mid-August I usually book a night away with the girls - my gorgeous friends who live so far away from me and each other that we meet up in a different city each year for gossip, cocktails and shopping. I class this as Me Time, but I’m adding on a night in a hotel in a different city for some indulgent Me Time. The kind of time where I listen to my favourite music (country; loud) and shop until I starfish on the bed. The clock stops, at least until breakfast. I also head to London with friends each March for a four-day Me Time Mini-Break otherwise known as the country music festival, C2C, where I’m not Mum/Girlfriend/Employee/Responsible from the moment the train leaves Plymouth (unless it’s an emergency; I’m still a grown up). I make sure to diarise all of these events, too, from the 30 minutes to a bit longer, in my phone’s calendar, so that they actually happen when I need them to happen. I mean my Me Time, and I’m mean if I don’t get it; I’m supporting my family when I clear off for 24 hours. In a relationship? Indulge in some Me Time for a week and see what absence does to your body parts as well as your hearts. More people should spend the night by themselves, whether you're a Mummy, Daddy, or Non-Parent. We are all busier now than we’ve ever been, multi-tasking our way, on the crutches of technology, towards our dreams and ambitions. Which I’m a massive fan of – we CAN do more than our ancestors, and that’s great for human progress. But just like a phone needs charging every now and then, so do their operators (yes, us). Being a stay-at-home, or work-from-home parent, it’s especially important we have time away from our dwellings, just like employees book annual leave from their desk. You don’t even need to go on holiday, just enjoy some time by yourself in a different location. If you’re a B and B or hotel owner reading this blog post, you might consider holding Me Time day retreats, where visitors can switch off during the school day, come September. Just saying. But Me-Time isn't just for Mums. Mr S15S enjoys his own Me Time, too. He doesn’t spend the night in a hotel by himself (he would have no idea how to watch back-to-back movies or spend more than three minutes in a bathroom, never mind use the spa) but he does have frequent mini-breaks with friends, where twenty plus men in their forties stay up until morning, and the only responsibilities he has are to water and painkillers. Plus, I hog the remote and catch up on my TV for the night. So the next time you’re feeling frazzled, reach for your diary and a search engine, and book the best night-in money can afford. Why not share your Me Time experience in the comments below? I’d love to hear your stories! Are Holland and Barrett changing the way we shop?